Hackathons are a great way to improve your coding skills or even get into coding. They frequently also offer cool prizes. Essentially, says Hackathon Guide, hackathons are about ‘creative problem solving’. That means they don’t have to be technical in nature, although they frequently are. At its most basic, it’s an event of any duration where people come together to solve problems. 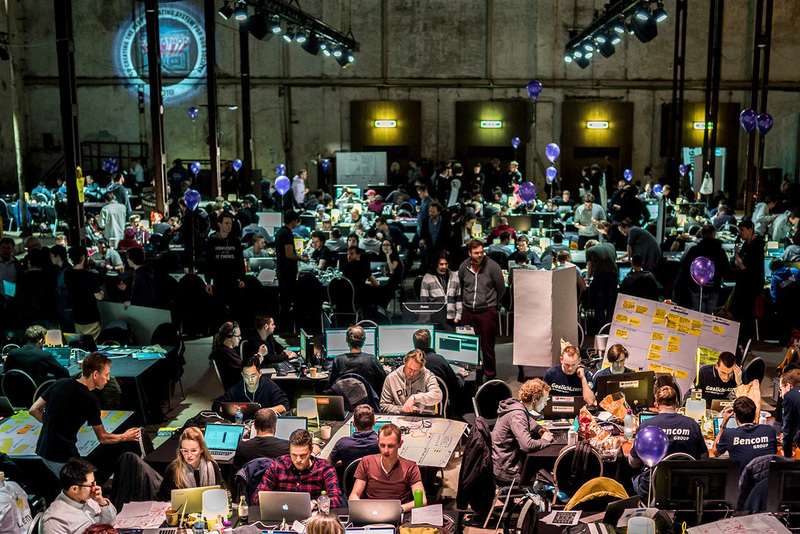 Here are some strategies on how to win a hackathon. There are definitely advantages to setting up the team before the hackathon, states The Tech Edvocate. For example, you’ll already know the strengths and weaknesses of the group and their degree of compatibility. Because the group is working under pressure at the hackathon, you need to be able to communicate effectively and if you know each other, this might be easier. In addition, if the group is set up beforehand, you can ensure there is the right technical expertise, including at least one front-end engineer. Ideally, you also need the following skill sets: organisational skills, business acumen and presentation skills. Basically, you’re looking for a broad range of skills, states a Medium article. And you should include the following roles besides the front-end developer: a designer to make the hack look professional and the back-end developer to provide the “core of your product, connecting the APIs and writing the algorithms”. If you can’t build the group prior to the event, ensure you choose a group based on compatibility and roles rather than just a cool idea. Here’s how to win a hackathon: make sure you have the right idea before you start programming. And know this: pivoting, a Silicon Valley idea referring to starting something and then leveraging aspects of the technology into something else, happens often in hackathons. Be open to it. Spend the first three hours of your hackathon on coming up with the right idea, but be open to the pivot. Find a cool API, recommends Medium – cool APIs provide the WOW moment in the final presentation that set you apart. Choose the right platform – for example, is it going to be a website or an app? Plan the main features of your app first. Write down some ideas before the hackathon and then research its feasibility, uniqueness and the cost of implementation. Even if there are similar technologies out there and there’s a good chance that’s the case, you may still be able to find differentiators that make your product better than the current players. A chat platform: try Slack, which is simple to set up. A task list: check out Trello. You need to be able to split tasks, know what everyone is working on and add relevant tasks as the development proceeds. Also, ensure you meet regularly, say every hour to ensure everyone is on board a new idea or a potential pivot. Research the background of the judges before the pitch – what is their knowledge level like? This helps you decide how technical you want to go. Summarise the competition and how your product can be differentiated from this competition. Use key statistics, which could be from the public domain with references. Keep it simple and fast but passionate. No login screen – assume the user is logged in. With a short presentation, you don’t want to waste time inputting emails and password. Now that you know how to win a hackathon, it’s time to sign up for one. “You’ll gain more practical knowledge in one hackathon than from a month of lecturers,” says Tim Fogarty, the EU commissioner for MLH (Major League Hacking), a global student hackathon league. Not only will you learn the technical aspects of a project like APIs, frameworks libraries, version control, testing, etc. (stuff software engineers know), but you’ll also learn about idea generation, working with others, and managing a project. In fact, if you want to learn how to code, go to a hackathon! If you’re keen to brush up on your coding skills first, consider signing up for one of HyperionDev’s six-month, part-time online coding bootcamps in Full Stack Web Development, Mobile Development or Software Engineering. You’ll get your own personalised mentor to help you whenever you get stuck and with those finely-honed coding skills, you’ll be well set to ace that hackathon.